What happens when an atheist professor becomes a Christian? To drop all cases it has against Dr. Adams. UPDATED APRIL 9, 2014: The jury announced its decision today. The University of North Carolina (UNC) must pay Dr. Mike Adams $50,000 and award him a full professorship back to 2007 because the university discriminated against Adams due to his conservative Christian views. Mike Adams was hired as an assistant professor of criminology at the University of North Carolina, Wilmington (UNCW) in 1993 where he quickly gained the respect of the administration and colleagues. In 1998, the university promoted him to associate professorship. Dr. Adams, who has a Ph.D. in Sociology/Criminology, was climbing the academic ladder. But that climb came to a jarring halt in 2000, when Adams, who was an atheist when the UNCW hired him, became a Christian. His conversion resulted in changed opinions on social and political issues. He began writing a column for townhall.com, a leading conservative political commentary and news website, where Adams was forthright about his new perspective. He was pro God, pro life, and pro freedom. He even questioned the University’s ‘diversity’ agenda when it would not allow Chick-fil-A restaurant to set up on the university. The owner of Chick-fil-A is a Christian and openly pro-family. By refusing the chain, Adams argued the university was becoming exactly the opposite — less diverse. As his views changed, Adams was subjected to a number of baseless academic investigations and accusations. 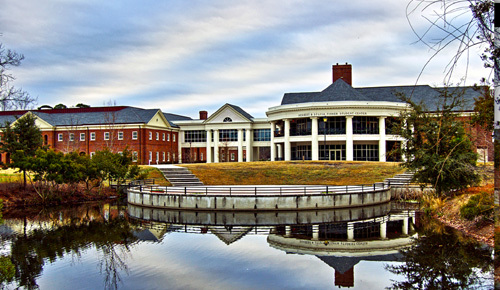 However, when UNCW denied Dr. Adams a promotion to full professorship in 2006, he suspected the reason was due to his Christian faith and decided to take legal action. Two legal groups the Alliance Defending Freedom and the American Center for Law and Justice (ACLJ) took on Adams’ case against the University. The court case took years to resolve. But a trial by jury just recently ruled in Adams’ favour. They said Adams’ opinions were “a substantial or motivating factor in the defendants’ [University’s] decision not to promote.” The jury also believed the University would have probably promoted Adams if not for his publicly known conservative views. The court has yet to award costs. I totally agree. That is a miracle in itself. Next PostGod’s Big Bang at creation?